Our fingerprint drug test video provides a quick introduction to the Intelligent Fingerprinting Drug Screening System and explains how it could simplify and improve drug testing programmes across many sectors. Our revolutionary new fingerprint drug test is the first of its kind in the world. Portable and non-invasive the System works by collecting and analysing fingerprint sweat to detect tiny traces of drugs or drug metabolites to determine whether or not a person has consumed drugs. 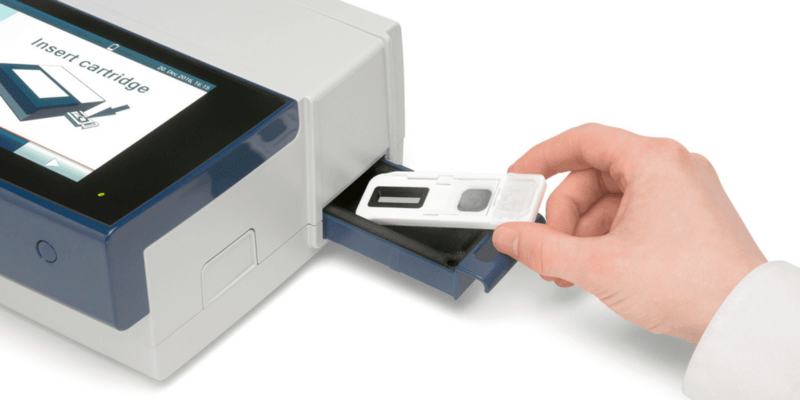 It takes seconds to collect the fingerprints onto the Intelligent Fingerprinting Cartridge, ready for analysis by the portable Intelligent Fingerprinting Reader 1000. The Intelligent Fingerprinting 4-panel fingerprint drug test screens for opiates, cocaine, cannabis and methamphetamines. Results are available in 10 minutes.